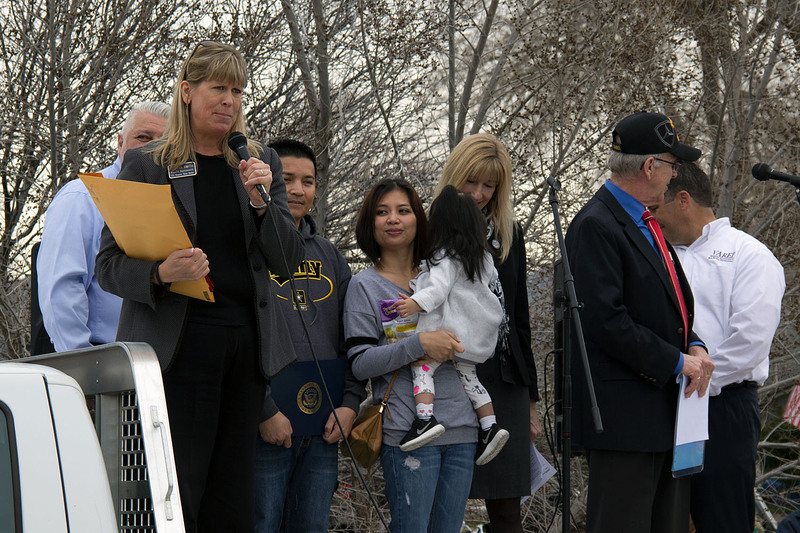 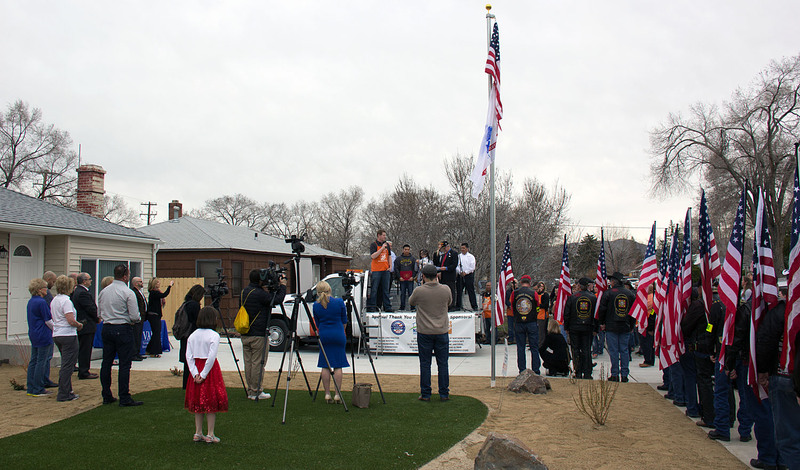 Yesterday Friday, our PGR attended the ceremony for the donation of a new home to one of our own, a fellow Veteran and his family in need. 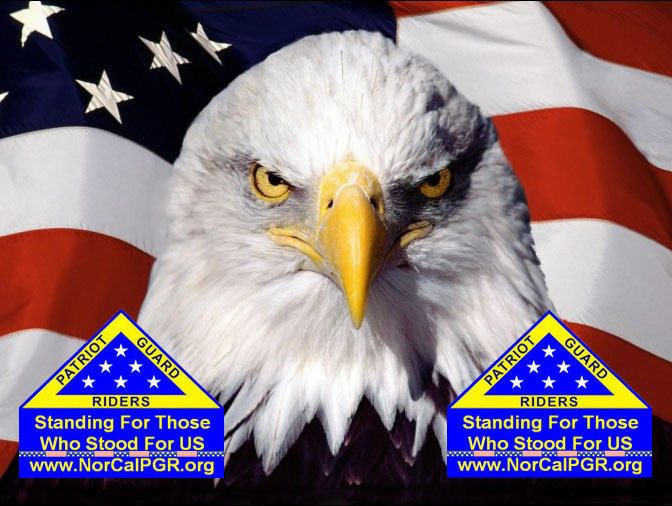 Our PGR escorted Sgt. 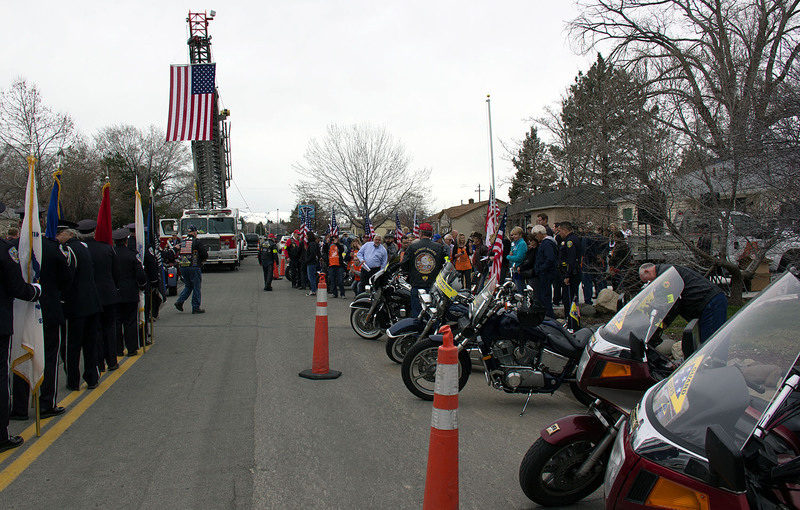 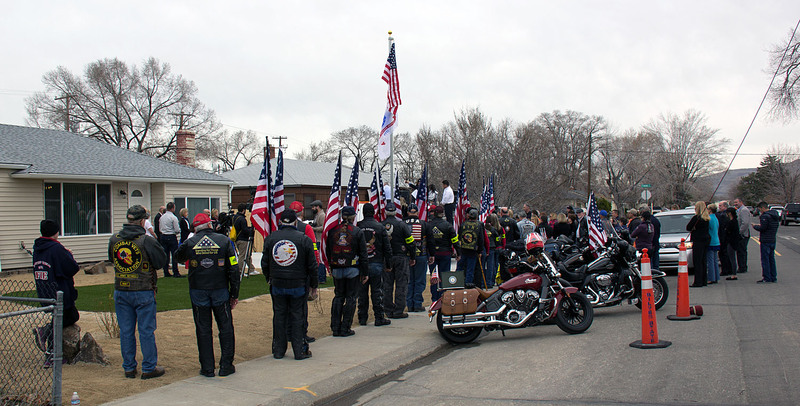 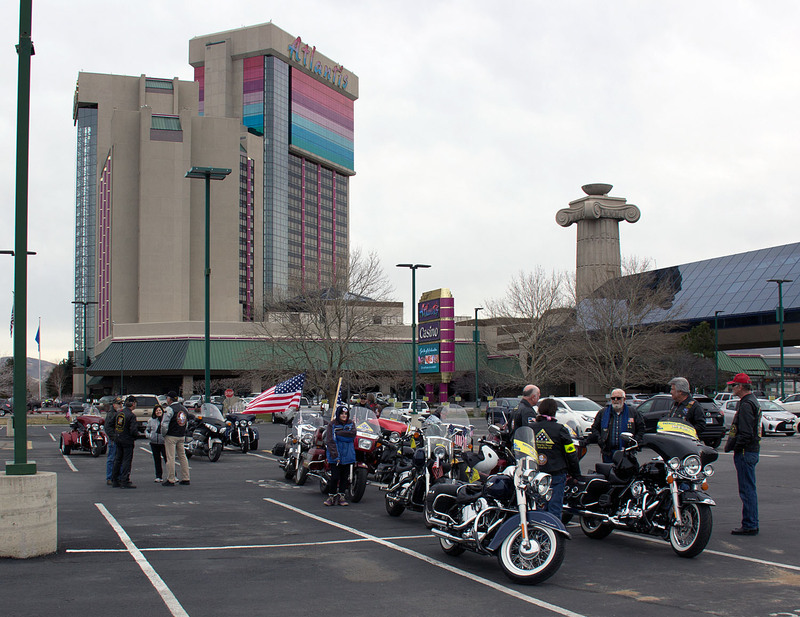 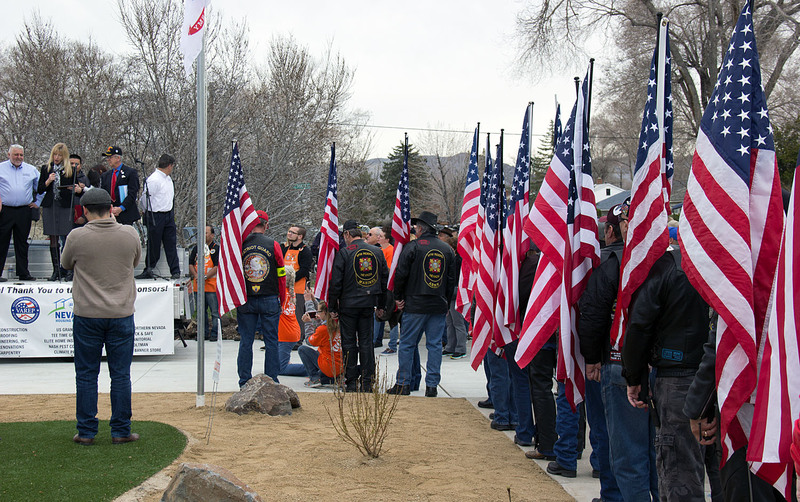 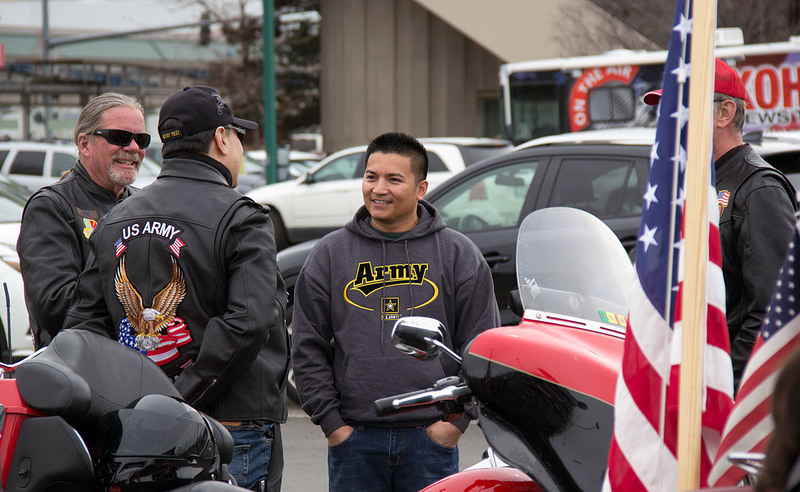 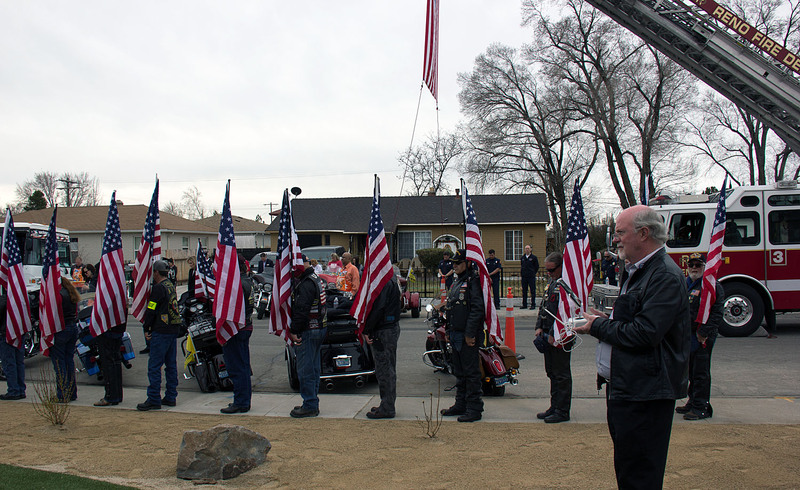 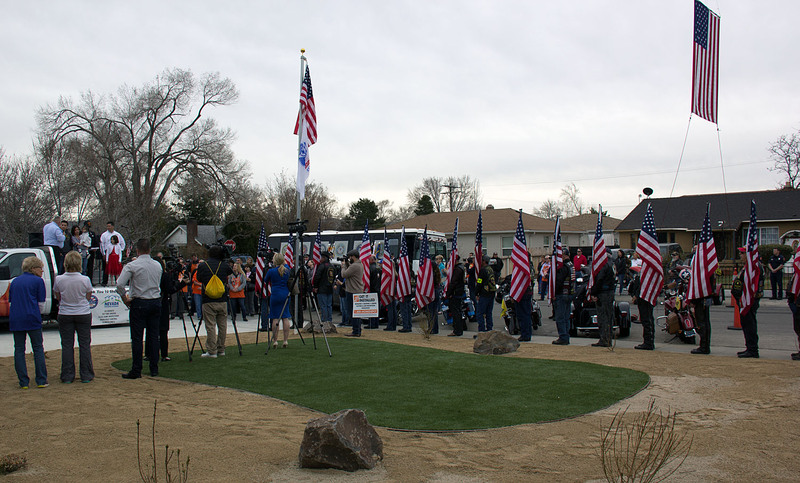 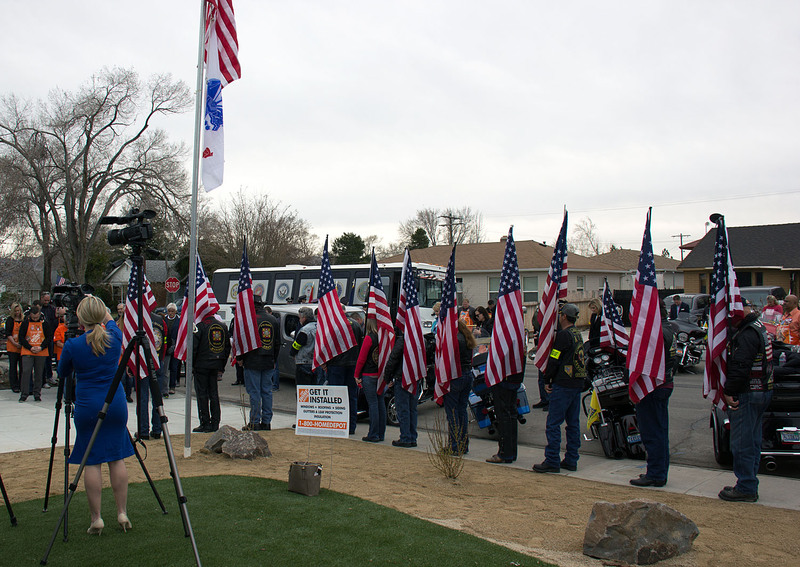 Lief Apag through Reno to his new home where other members had posted our flagline for the arrival. 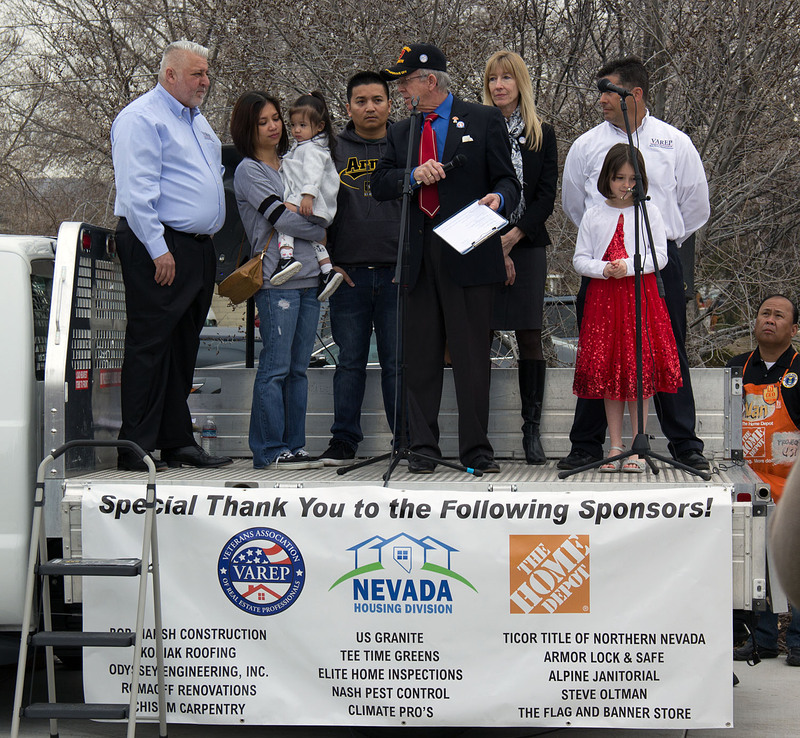 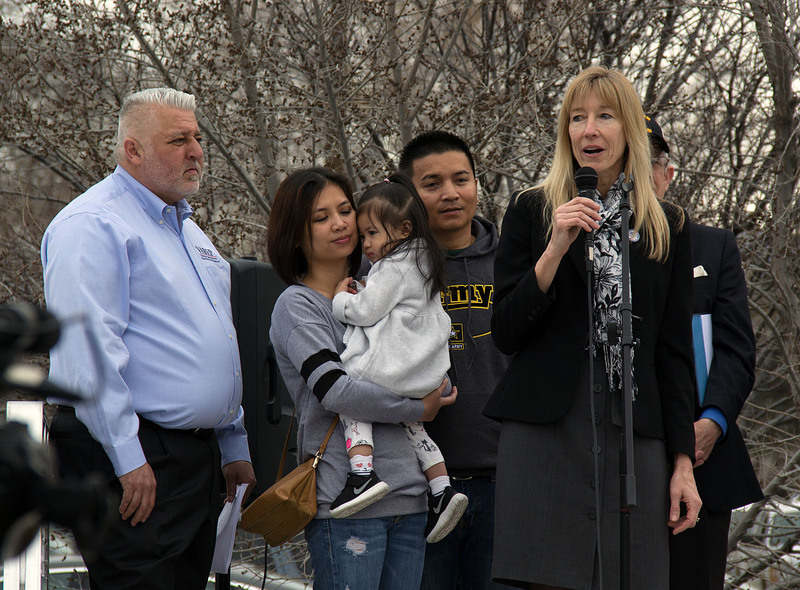 We had a great turnout for this event 20 of our members, Vice Mayor of Reno, the Mayor of Sparks,and many other political and community leaders, the Reno Fire Dept. 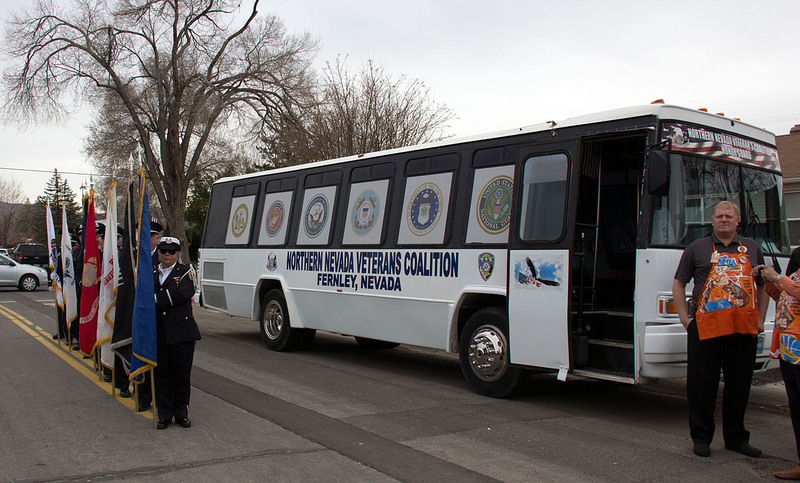 Police Officers and our Veterans Coalition. 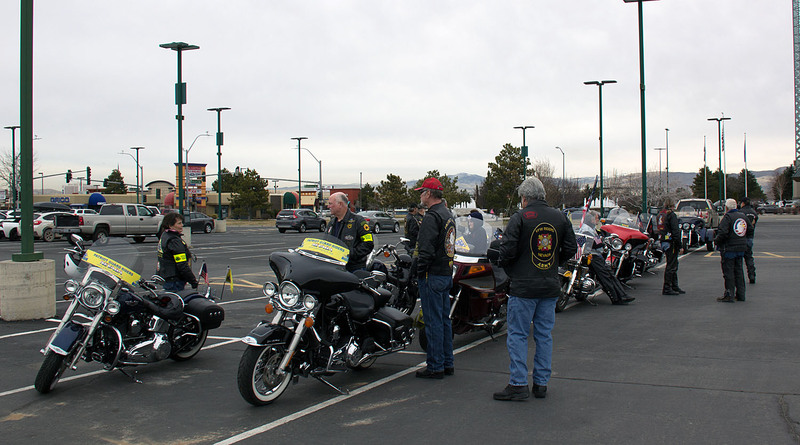 A special thanks to Guy, Sydney and Lisa who came in from Fallon and Fernley and to our NorCal brothers James, R.C. 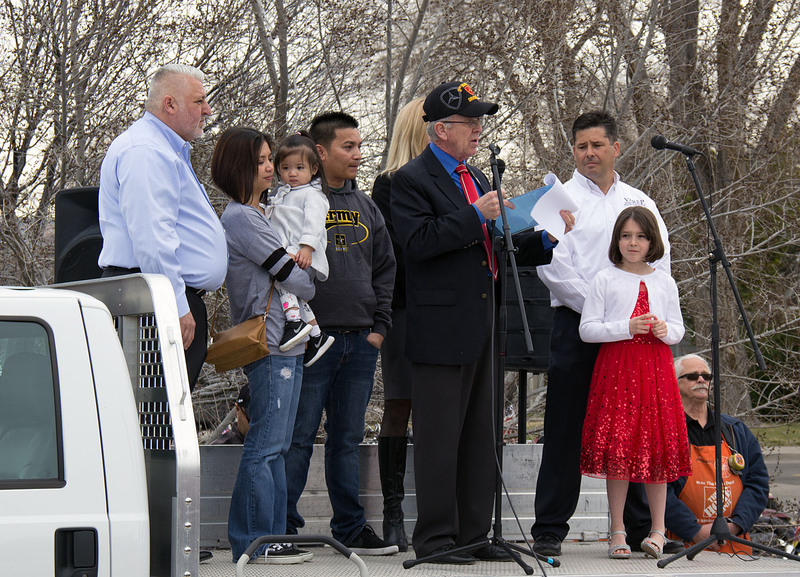 Blake and his granddaughter who came down from Susanville. 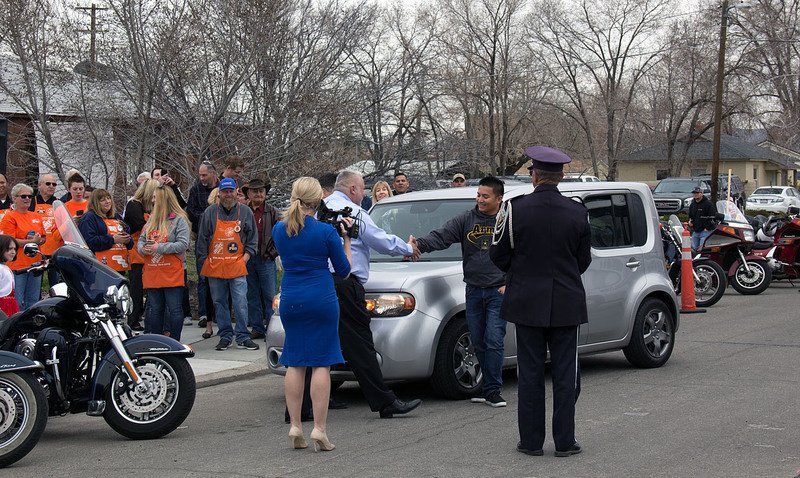 But to all , thanks for participating , this was a great cause , a leg up for a young family .....and one of our own. 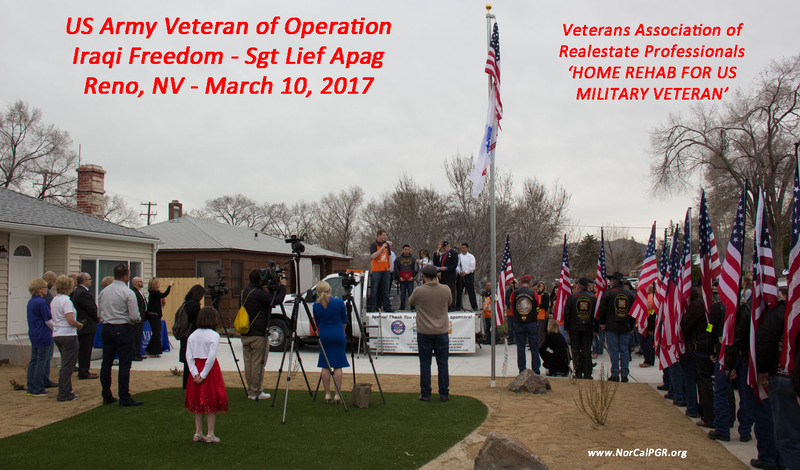 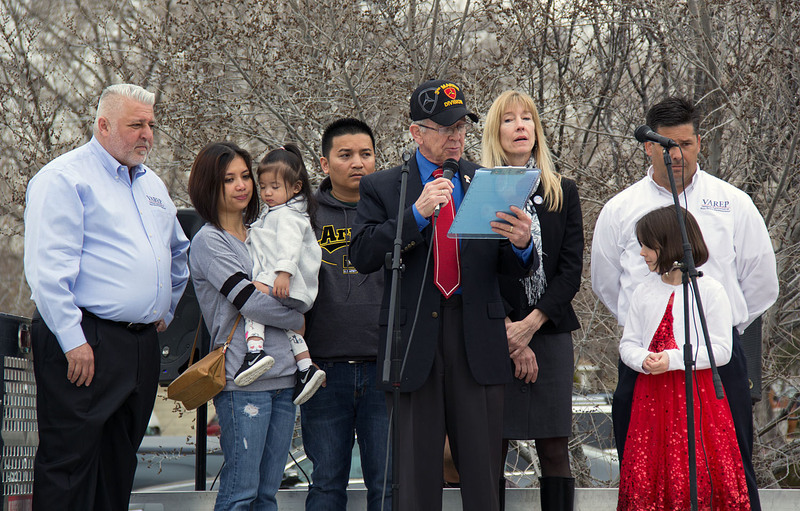 Our Veteran is Lief Apag Sgt. 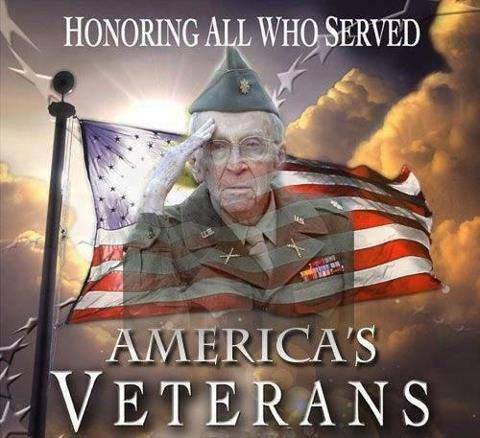 U.S. Army and a veteran of Operation Iraqi Freedom. 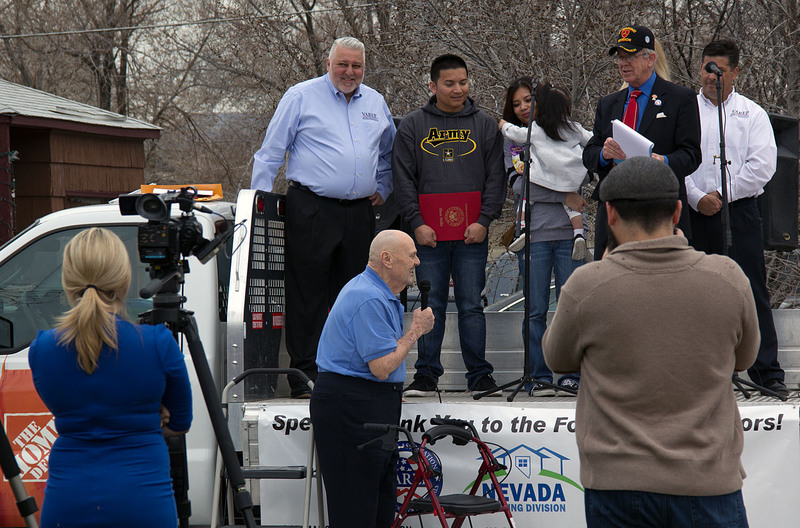 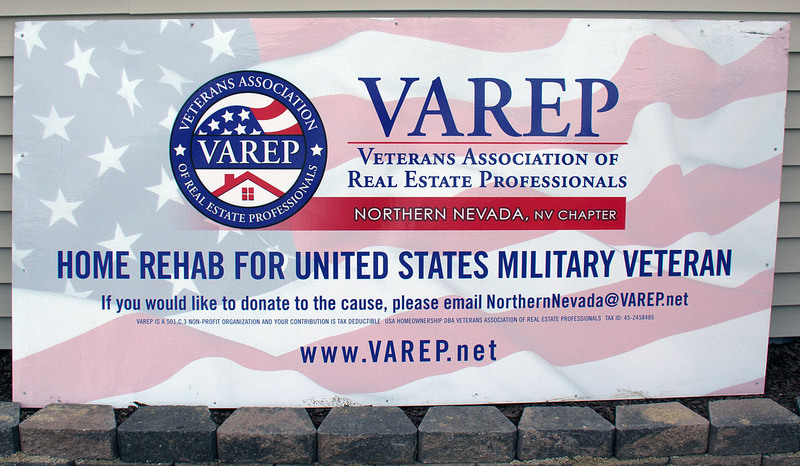 The home is being donated to the Apag Family by the Veterans Association of Real Estate Professionals. 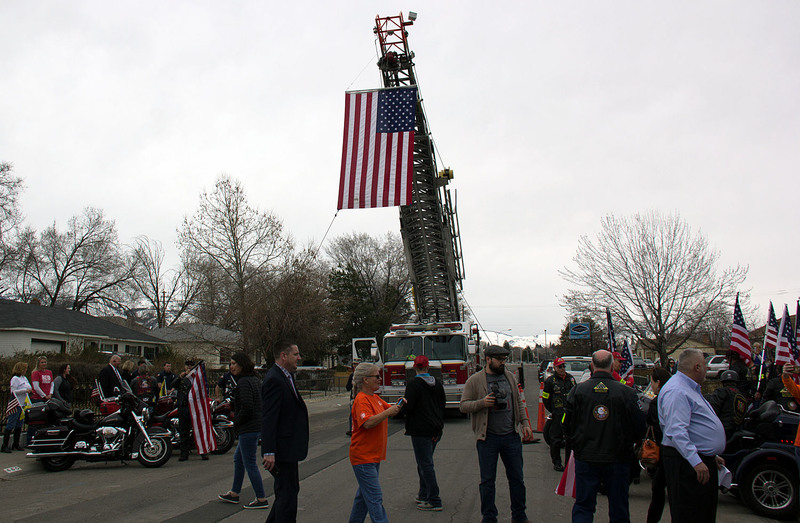 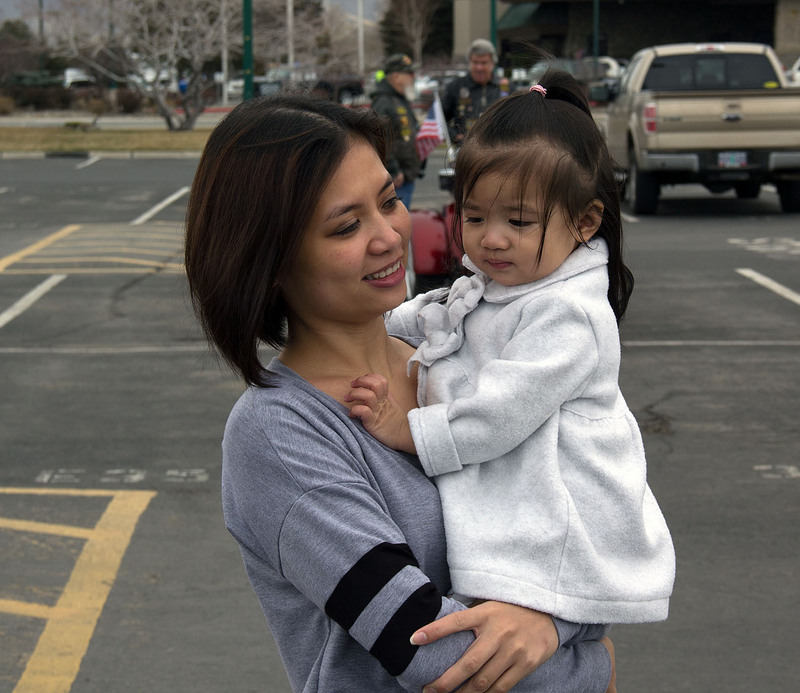 KOLO TV 8's news story..
KTVN TV 2's news story..
KRNV TV 4's news story..